During the summer of 2012, I took a course on urban design from the Career Discovery Program at the Harvard Graduate School of Design. 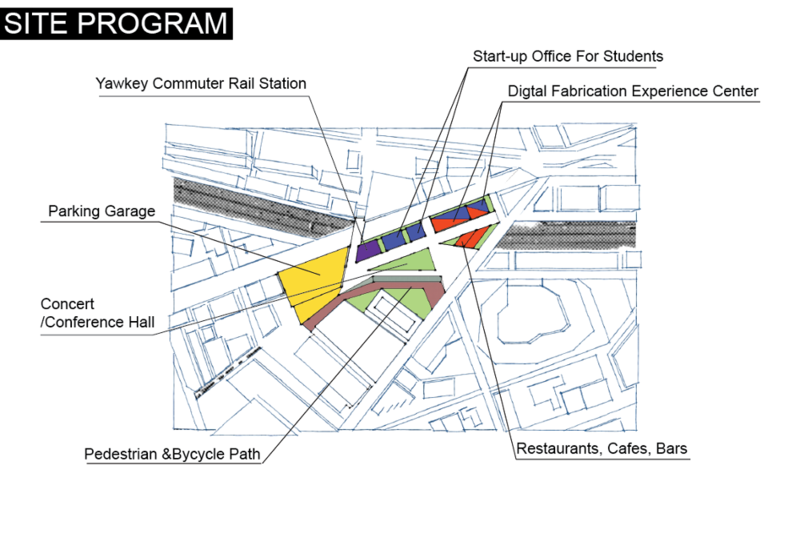 The objective of the final project was to analyze the drawbacks of the Fenway area in Boston and to establish an urban development plan to solve the problem. The Fenway area struggles with a drastic fluctuation in vibrancy because the area is closely linked with Red Sox games. The area is thronged with people when there is a game. But when there is no game, its empty street and stores has the most decayed mood. Although it is surrounded by the many academic institutions with more than 60,000 students, the discontinuity in the cityscape produced by the Mass Turnpike severs the neighborhood in two, isolating the students of the Boston University from the Fenway. 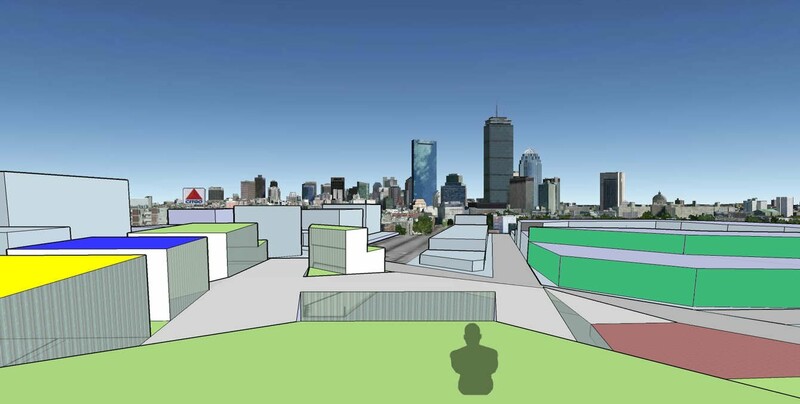 The intervention I proposed was to build a structure that covers the turnpike which thus connects the Kenmore with the Fenway. By weaving the divided parts of the city into one piece, the city can expect to introduce the liveliness of Kenmore Square and contribute positively to the fabric of the city. Additionally, a strong program to attract the students from the surrounding colleges was required.